"Pain will change you more profoundly than success or good fortune." 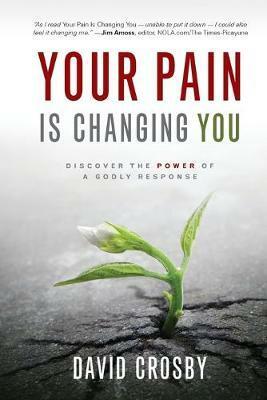 You can experience power in the midst of life's pain. All of us suffer. Yet, this suffering--it shakes up our expectation, guts our goal, plunders our priority, devastates our dream, and votes no to what we may value the most--shifts our perspective and opens our hearts to the power to choose. How will we respond to suffering? In our response lies our opportunity to be at our most powerful, to allow our pain to change us in remarkably fruitful ways. Your Pain Is Changing You does not attempt to answer the question of why we suffer but rather provides the how to persevere. David Crosby's true-life stories lead readers deep into suffering and deeper into their own theological perspective. In reading about the suffering of others, men and women will soon find their interest in the stories has led them to empowering God-based truths. Truths that enable them to take charge of their response to pain, dramatically change their quality of life, as well as positively impact those around them. We cannot choose whether sorrow will interrupt us. We can choose our response, our character, and share that victory with others.